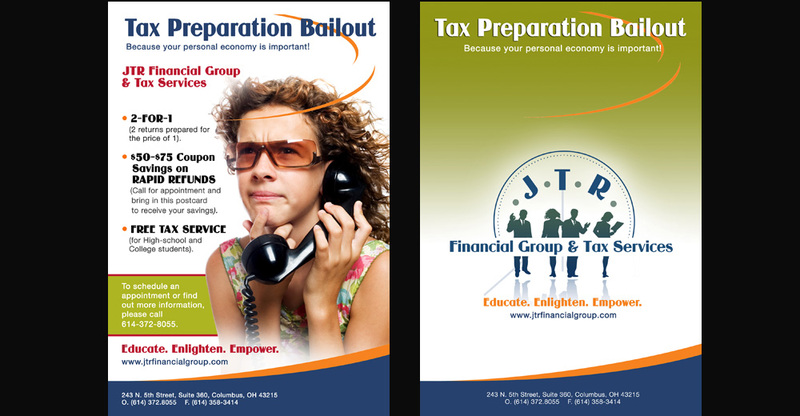 JTR Financial Group & Tax Services help you overcome financial challenges and sustain financial stability. 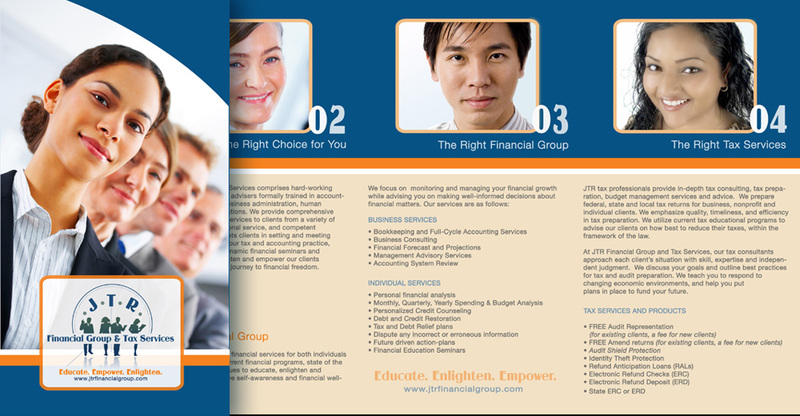 They show you the true meaning of financial freedom from accountability to you. 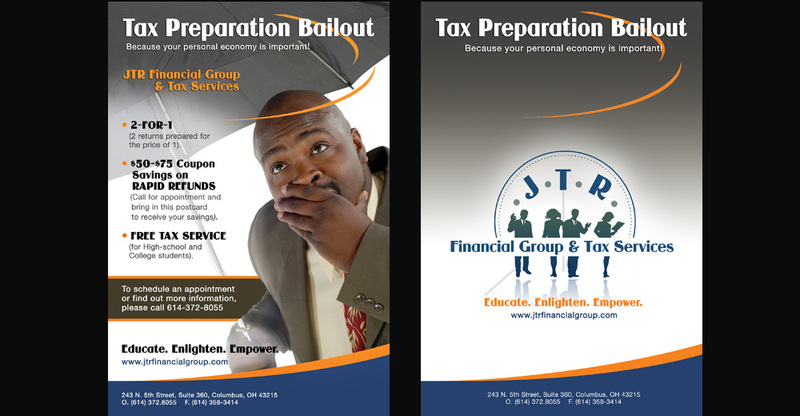 Create business collateral for a new business offering financial service consulting, tax, notary and accounting services. 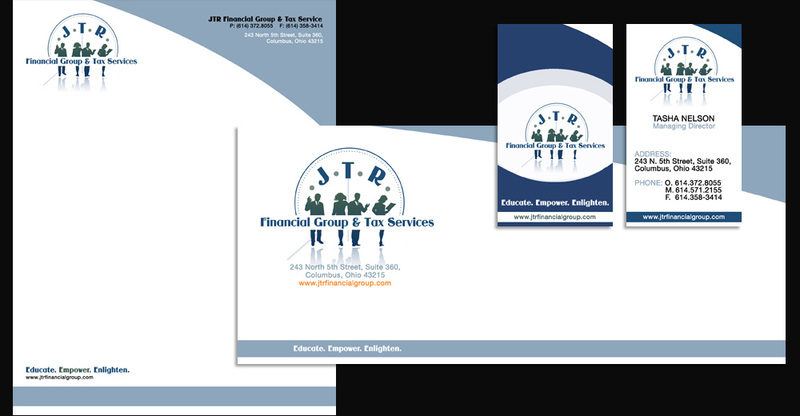 A logo design was created that would reflect a diverse, yet professional, corporate market. 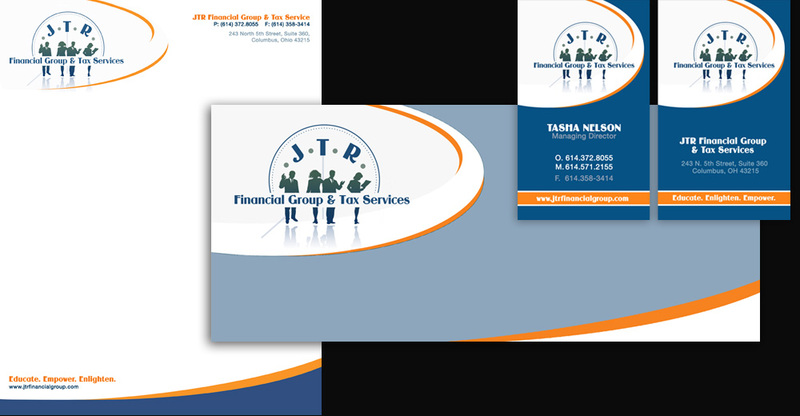 A Corporate Branding package comprising: Business Cards, Business Stationery (Letterhead, Envelope) and Invoice, was put together. 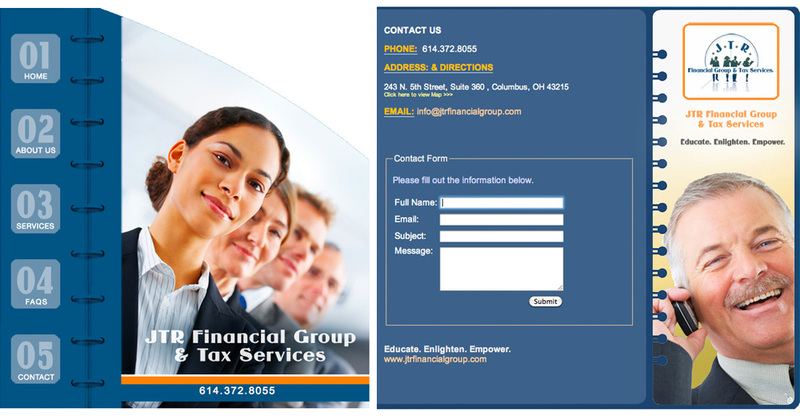 © 2012 Webphotographix: For Web Development, Photography, Freelance Graphic Art & Print Design.